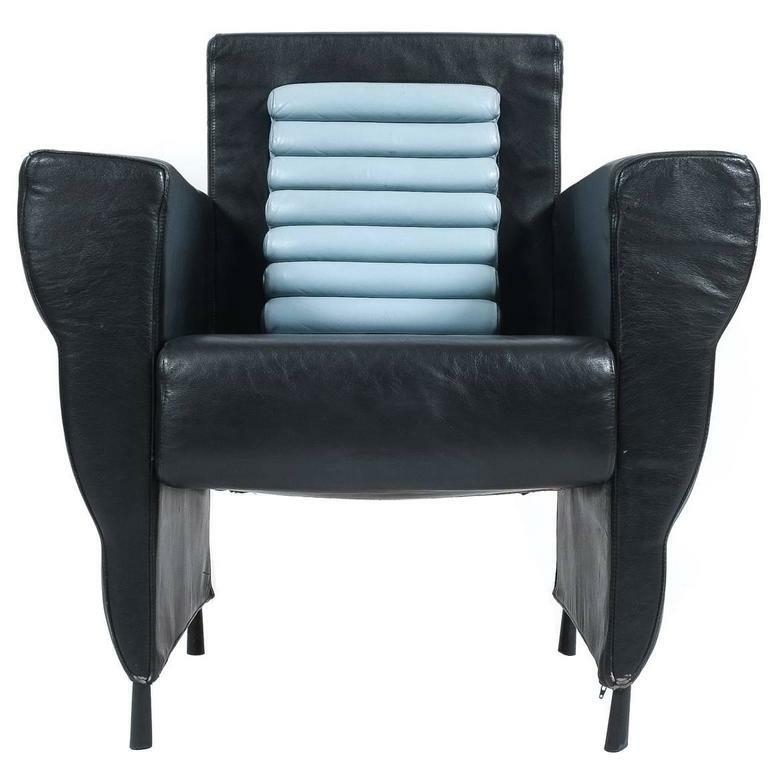 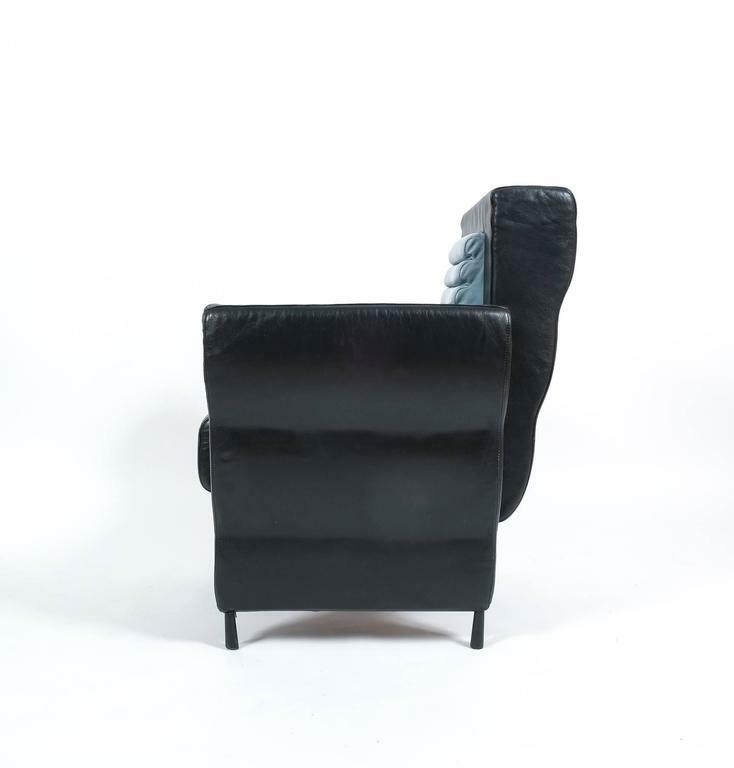 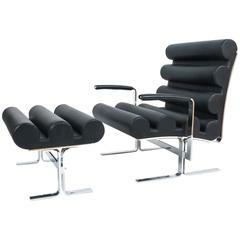 Rare leather armchair from the Flessuosa series by Ugo La Pietra for Busnelli, Italy, 1985. 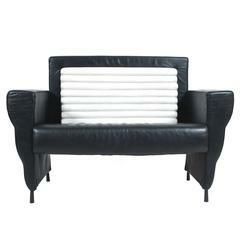 Comfortable smooth leather seater with a blueish grey leather inset from one of the former founding members of famous Italian avant-garde group Archizoom. 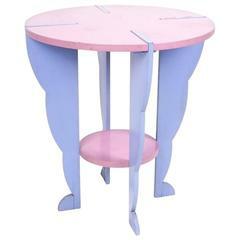 We also have a matching sofa and table available. 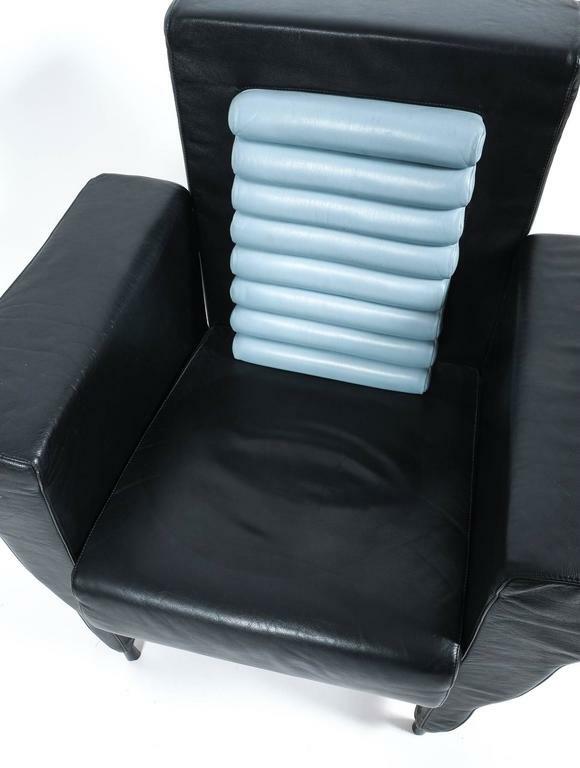 Condition is very good with minor wear. 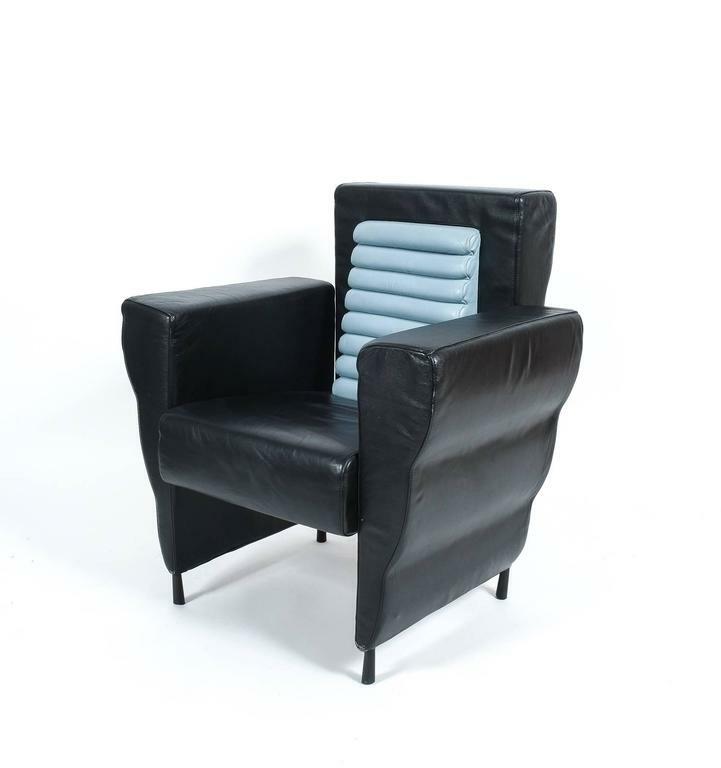 One of our most comfortable pieces, Geo armchair is very well structured, with hard looking shapes contrasting with comfortable upholstery and softness of natural leather.